I’ve been looking for the perfect messenger bag to fit my 17″ laptop. I think I’ve found it. Messenger Bag from Lotuff & Clegg. The leather looks buttery smooth. 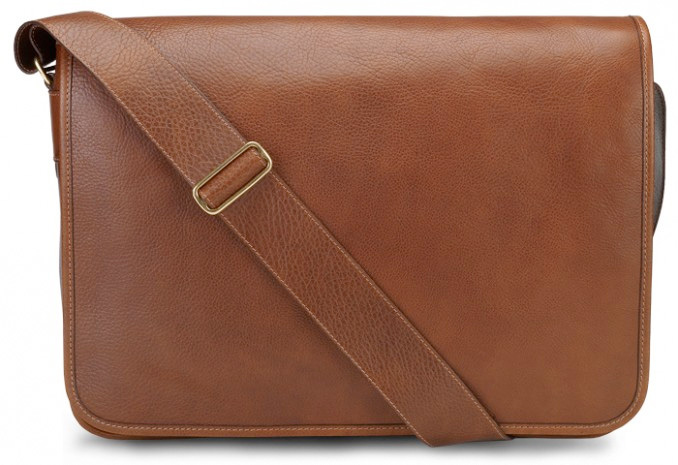 The inspired leather messenger bag that gets you to best-in-class among messenger bags. Clean, balanced, durable and sized for a work day with 17″ laptop. Plenty of extra room for pounds of additional files and paperwork. Helpfully holds smaller bags to achieve hands free travel. Everything you need and nothing you don’t. No flashy hardware or logos; just honest American craftsmanship, designed for a lifetime of helpful service. Guaranteed.